PSDI can provide scale-specific engineering solutions using Model Based Control (MPC) and other advanced control strategies for the process industry. The development of advanced model-based controllers covers a broad variety of processes such as fuel processors for hydrogen production, renewable energy and fuel cell systems. PSDI’s APC platform provides all the necessary tools to reach the desired product specifications taking into consideration safety and product requirements. User friendly environment that provides an interface to the tuning parameters of the MPC algorithm ensuring flexible behaviour. The online APC platform runs on a computer based system according to the customer’s needs and requests. 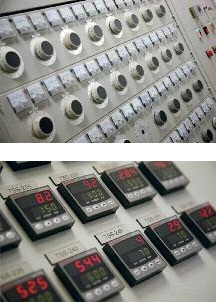 It can be integrated to a variety of industrial automation systems using OPC communication. Furthermore the APC platform has the ability to share data with the process information systems of the customer including data archiving servers or any OPC enabled system.